Stay a step ahead the latest wave of European charm bead fashion jewelry. This exquisite beaded Pugster Cat And Sofa European charm bead dazzles with individual beauty. The humble charm and simple elegance of this European charm bead is an unforgettable and alluring piece of accessory. This interchangeable Pugster Cat And Sofa European Charm Bead is the perfect gift for any occasion. It is also a great addition to your European charm bead bracelet or necklace. 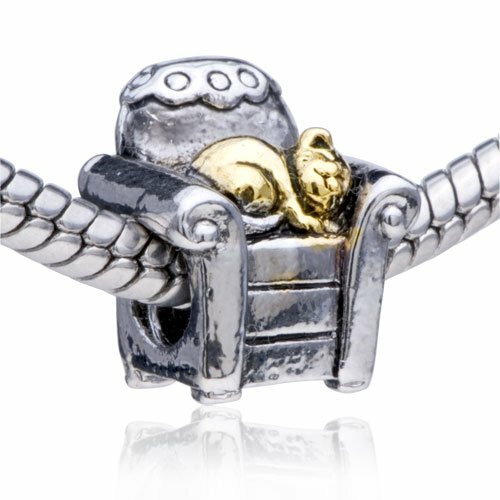 Crafted and authenticated by Pugster, the Cat And Sofa European Charm Bead is available for both retail and wholesale purchase through our store. This bead fits Pandora/troll/chamilia Bracelet.